Today I tried something I’ve never done before and I must admit, I was a little intimidated. After I tasted the results, I couldn’t believe I had ever done it any other way. I’m talking about slow smoking BBQ Baby Back Ribs and I’m here to tell you that the BBQ purists are fanatical about this with good cause. A long time ago, while working as a line cook in a small kitchen, I learned the method of braising ribs ahead of time to make them tender. This allowed us to simply heat, sauce and serve rack after rack at a moments notice. While I appreciate the economy of time that is necessary in a busy restaurant, I have come to realize that I was sacrificing flavor for convenience. After smoking my own baby back ribs over the coals of a hardwood fire, I now see the error of my ways and have become a true BBQ convert. I was pleasantly surprised at how simple the whole process was and delighted with the results. These were the best ribs I have ever tasted, hands down. They were tender while maintaining a satisfying, meaty bite with an incomparable smoky flavor. I hope after I share a few tips and tricks, you will see how easy it is to make your own amazing BBQ baby back ribs. Rinse ribs in cold water and pat dry. Using your fingers, peel off the thin membrane on the back of the ribs (or ask your butcher to do this when purchasing). Generously sprinkle the ribs with kosher salt. Use about 1/2 tsp salt per pound of meat (Ribs are generally half meat and half bone so divide the total weight of the ribs in half and you will know how much salt you should use.). Place on a rack and let sit at room temperature 1-2 hours. 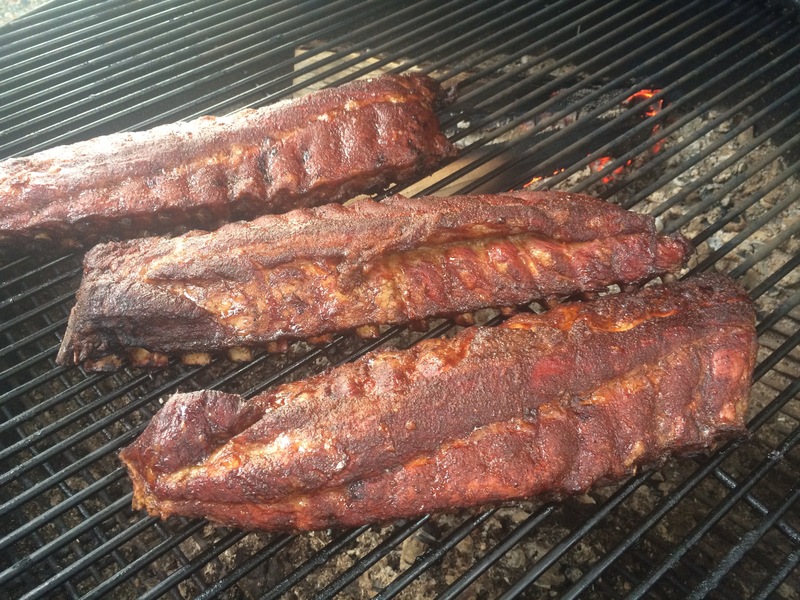 This step, called dry-brining, is important to help the ribs retain their moisture while smoking. Do not try to rush it. Meanwhile, build a raging fire in a kettle grill with a lid and let it burn down to coals or fire up your smoker. You can also use a propane grill with a smoker box or a combination of untreated (not match-lite) charcoal and a smoker box with wood chips. 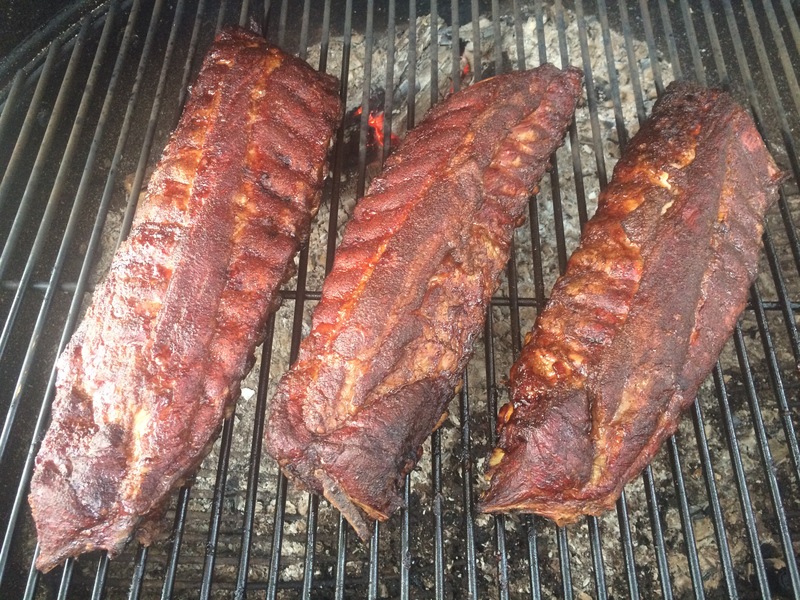 You are looking to maintain a consistent temperature of 225 F for the four hours it will take to smoke your ribs. I used an oven thermometer and checked every half an hour to make sure the temperature did not drop below 200 F or rise above 250 F. The thermometers that are built in to grill lids are often unreliable so make sure you are using an accurate thermometer. 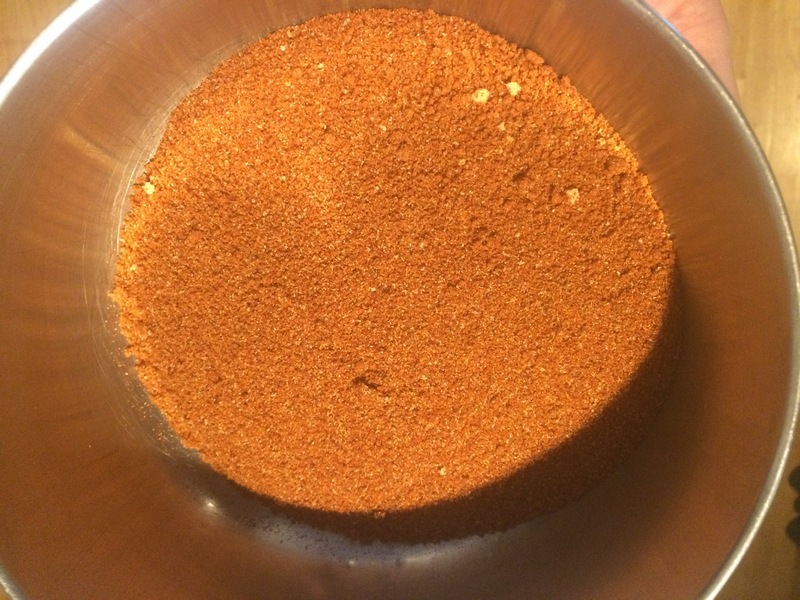 Combine all ingredients for the rib rub and whisk to break up any lumps. Coat the ribs in vegetable oil and dust with the rub (you may have a little left over). This will help to develop the bark, the crusty, spicy layer on the outside of the ribs. 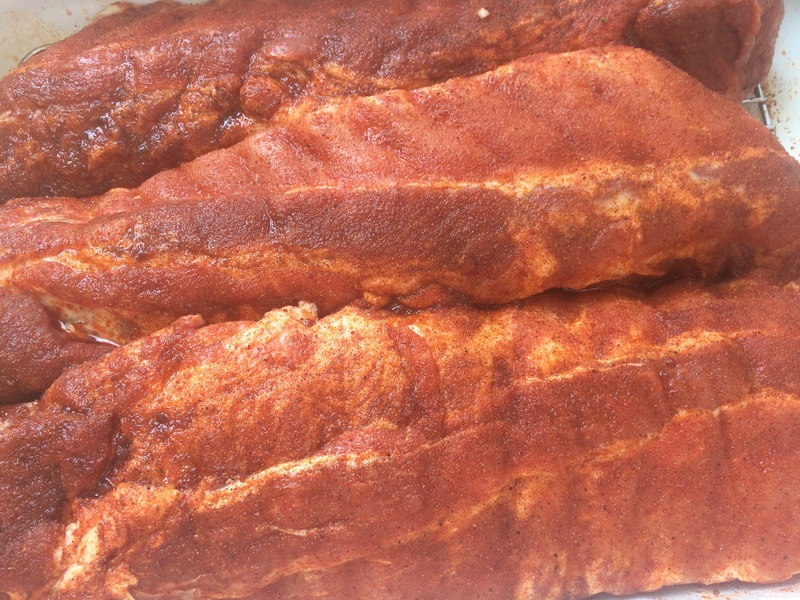 Give the ribs a quick rub with your hands to evenly distribute the spices. 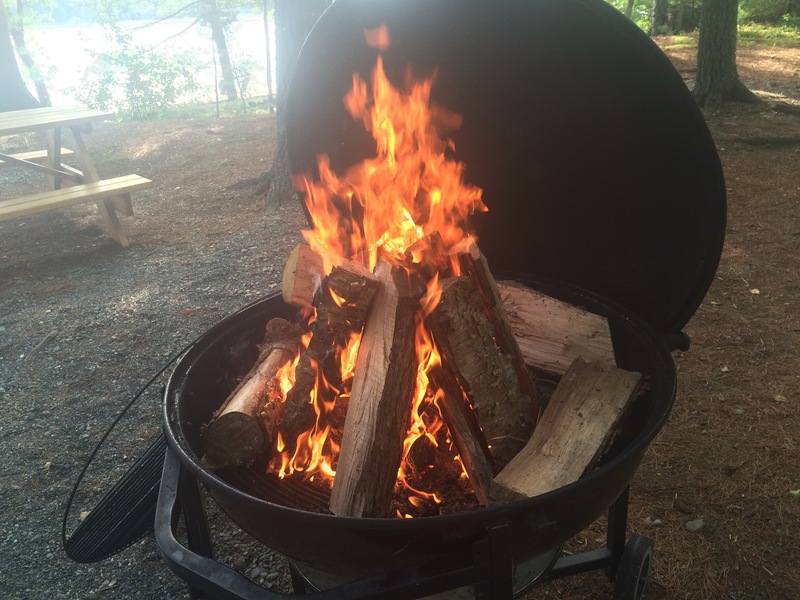 When the fire has burned down to coals, push it over to one side of the grill. 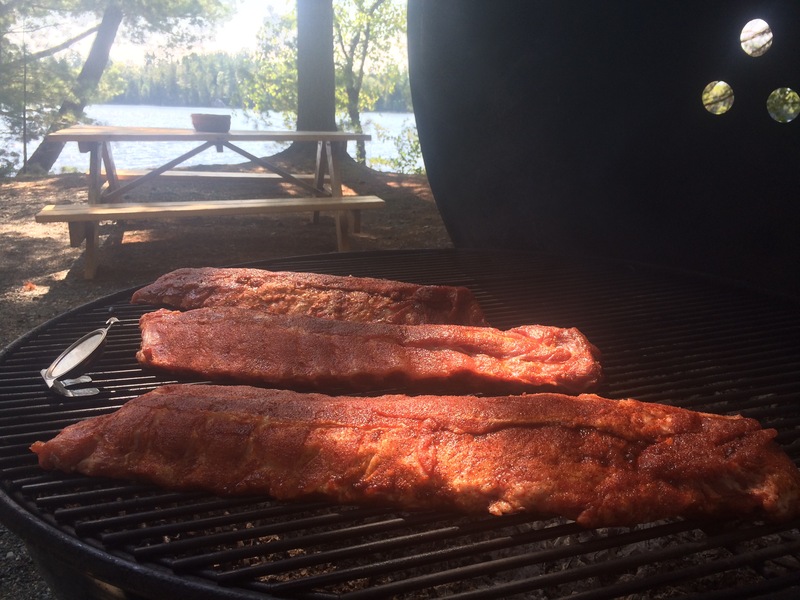 You will be cooking the ribs on the other side using a method called indirect cooking. Using an oven thermometer, close the lid, making sure the vents are open and check the temperature of your grill. If it is above 250 F, let it burn down a little more. If it is below 200 F, build it up with a little more wood. When the temperature is around 225-250 F, place your ribs on the side of the grill opposite the coals and close the lid, making sure the vents are open. Kick back and relax because the hard work is done. Enjoy a refreshing beverage and the smell of the hardwood smoke. Check every thirty minutes and add wood as necessary to maintain your temperature. After 3-4 hours the meat should have shrunk back a little, exposing the tips of the bones and the color should have darkened from a bright brick red to a deeper brown. Remove from the grill and serve with your favorite side dishes. May I suggest a Brussels Sprout Slaw with Granny Smith Apples and Gorgonzola?